Visa on arrival at one of the international airports in Vietnam. Visa code to pick up the visa at the embassy of your choice. Visa stamping fee is regulated by local embassy and currency. Make sure you have 2 extra days, so the embassy can check their internal mails, before you go the the embassy..
E-visa* available for only 46 countries, check if your nationality is eligible. Read FAQs. Choose e-Visa Only 1 Month Single Tourist and standard processing. Before processing, we need your scanned passport and passport photo etc. Send to support@.. ). Forgot to order extra service? Choose this option. Remember to provide correct info. 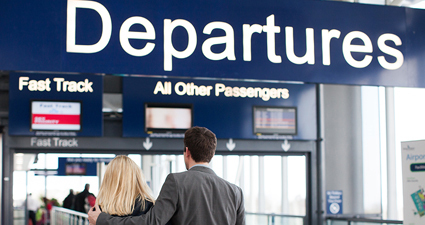 Airport and car service, need to provide all changes within 24 hours or no refund.. Emergency visa on Arrival is a Last Minute visa and very strict. Apply online, contact us and follow our guidance. The visa approval letter will be issued by the Immigration department of Vietnam within 5 working days. Please make sure your travel date are after the processing time. . The visa approval letter will be issued by the Immigration department of Vietnam within 2 working days.. The visa approval letter will be issued by the Vietnamese Immigration Dep. within 1 working day. Submit before 07:30 AM to get the letter on the same day. Submit before 13:00, get the letter around 13:30 next day! . The visa approval letter will be issued by the Vietnamese Immigration Dep. in 1/2 working day. Submit before 08:00 AM to get the letter at 13:00. Submit before 12:00 PM, get it 17:00. Submit after 13:00, get it 13:00 next day!. Processing within 2 business hours (Mon-Fri), 08:30 AM to 11:00 AM, and 13:00-17:00 PM. Immigration is closed 11.00 AM -13:00 PM. NOT Sat, Sun, Public Holidays or after office hours!. Emergency Visa Processing outside office hours. Order and contact us immidiately to avoid any delays. Make sure all info is correct. Only 1 month single tourist is available in Hanoi, 15 days in HCMC! Further processing is needed once landed. 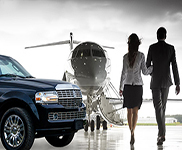 Includes Airport Assistance Service!. Make sure all the information is correct. Apply early to avoid last minute or emergency visa, or worst to cancel your flight. Note:* Public Holidays - the Immigration Office will be closed for normal Processing. Last minutes Emergency Visa on Arrival is still available. Hung Kings Commemoration during April 13 – 15, 2019. Any request sent to us during this time will be later processed on April 16, 2019. Celebration of The People's Public Security of Vietnam 18th Aug - 20th Aug, National Day 1st Sep - 3th Sep, Tet (Lunar New Year in 2nd-11th Febr). Due to many Holidays, remember to take it into consideration when applying and choose correct processing time. Don't wait. We guarantee visa or full 100% refund. No risk. * Dont recieve emails from us? You may add starvietnamvisa.com to your contact list to prevent this from happening in the future. Check your junk box due to users email filters. * All orders get a confirmation mail once completed. If you don't receive the mail in the next 5 minutes, please make sure it isn't in your junk mail folder. * Private visa letter? Choose Private Visa below, if you wish to get Private and separate visa letter for Your order only. If not, immigration dep. process in bulk with others. * China: Visa code at embassy for Chinese is not available. * USA: Good news. From 16th December 2016, US passport holders are allowed to apply all visa again:) Earlier, since 28th August 2016, all US passport holders was only allowed to apply for 1 years multi visa into Vietnam. (Diplomatic note no. 173/NG-LS). * New eVisa* type: since Febr 2017, only for certain countries, tourist purpose and 1 month single entry only. Total fees is for 1 month single tourist only. Visa stamp at Passport checkpoint, stamping fee is included. Routine is not 100% settle yet at all borders. Immigration Dep. requires further information. 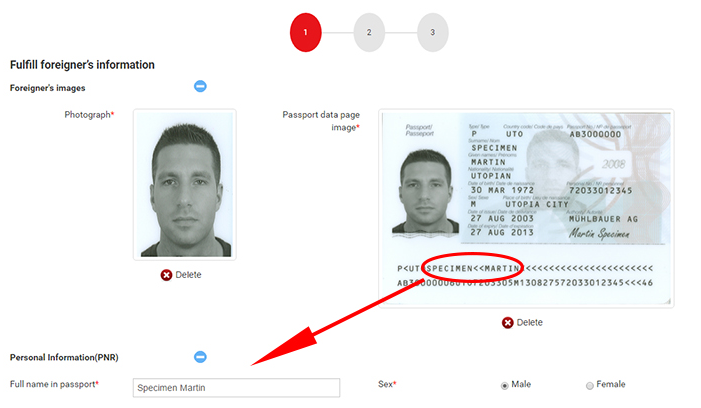 Colour image of passport info page, recent photo of you looking straight forward (no hat or glass), religion, permanent adr., adr in Vietnam, Phone number, Entry port and exit port. * E-Visa* type 46 Eligible Nations: Argentina, Armenia, Australia, Azerbaijan, Belarus, Bruney, Bulgaria, Canada, Chile, China (Does not apply to Chinese e-passport holders), Colombia, Cuba, Czech Republic, Denmark, Finland, France, Germany, Greece, Greece, Hungary, India, Ireland, Italy, Japan, Kazakhstan, Korea (South), Luxembourg, Mongolia, Myanmar, Netherland, New Zealand, Norway, Panama, Peru, Philippines, Poland, Romania, Russia, Slovakia, Spain, Sweden, Timor Leste, United Arab Emirates, United Kingdom of Great Britain and Northern Ireland, United States of America, Uruguay and Venezuela. See FAQ page for more info. This is the embassy where you want to pick up your visa. Allow 2 additional businessdays for the embassy to check their post/email/fax. Separate visa approval letter and private processing for your order. Keep your passport details private. Normal process by the immigration is to get up to 25 persons on the same letter. The name must be exactly as in your passport!